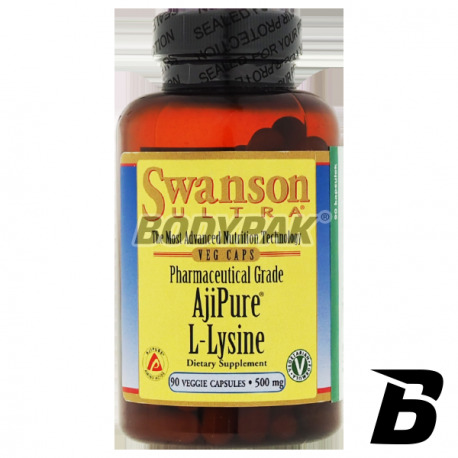 Amino AcidsSwanson AjiPure L-Lysine 500mg - 90 kaps. 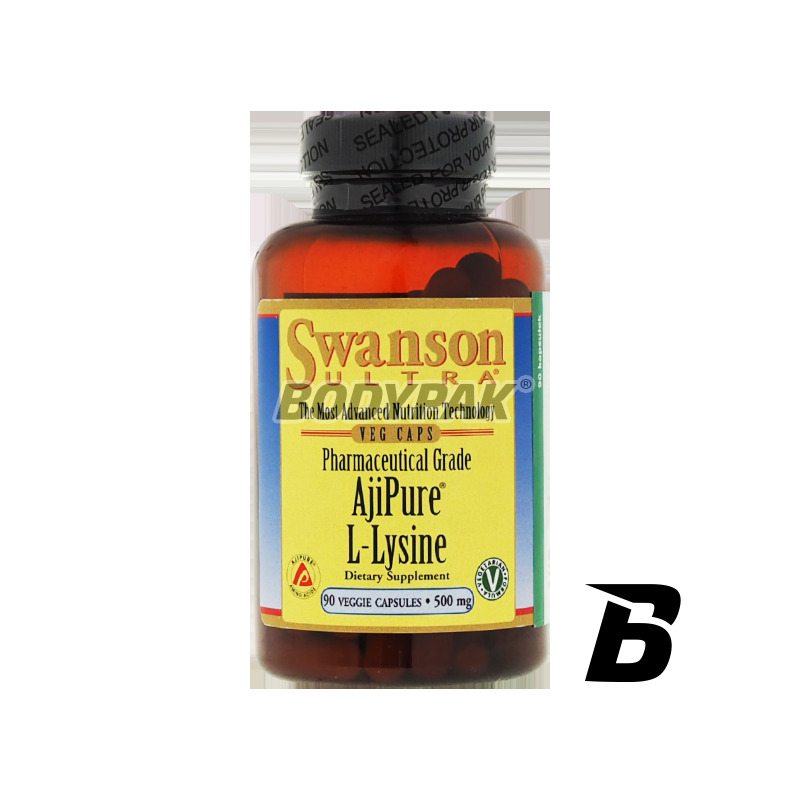 Swanson AjiPure L-Lysine 500mg - 90 kaps. High-quality l-lysine pharmaceutical grade. If you are struggling with problems of resistance or have a problem with stress and nothing else helps - reach for the supplement to be convinced of his action! L-Lysine - is one of the 10 amino acids deemed necessary, which can not be manufactured by the body and must be supplied with food. Swanson AjiPure L-lysine at the forefront of this type of preparations by the pharmaceutical grade products. AJIPURE certificate guarantees the highest quality material (standardized to amino acid 99-100% purity). Reaching this product you can be sure that suplementujesz best supplement available on the market. L-Lysine is part of the pool of 10 amino acids considered essential, which can not be synthesized by the body and must be supplied with food. The use of this product in sports is very broad. With this product will also help your immune system, which is sometimes weakened exhaustive workouts. It should reach the Swanson L-lisyne both in case of problems with sleep / stress and during recovery after muscle injury. One capsule a day on an empty stomach. Ingredients: l-lysine, rice flour, vegetarian capsule shell: cellulose, anti-caking agent: magnesium stearate and silicon dioxide.